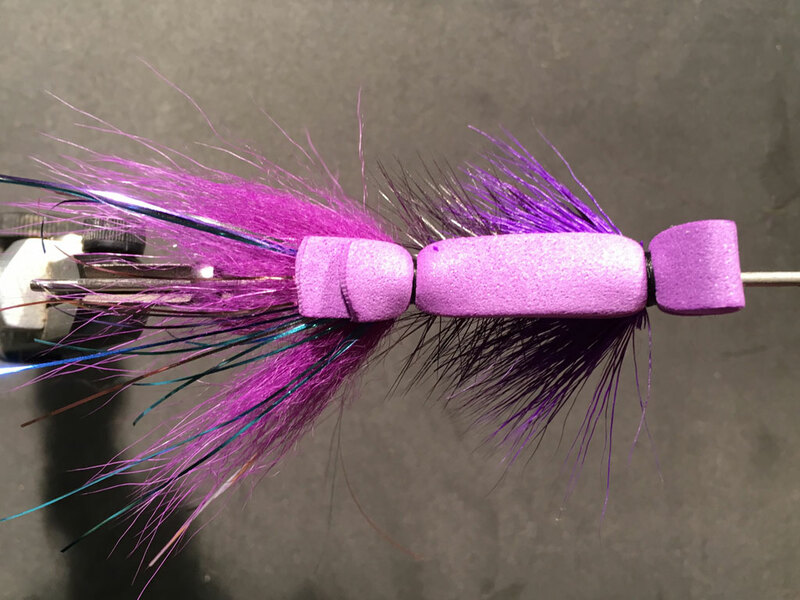 Darin’s Coho Candy is a Great Lakes tributary dry fly for coho salmon. 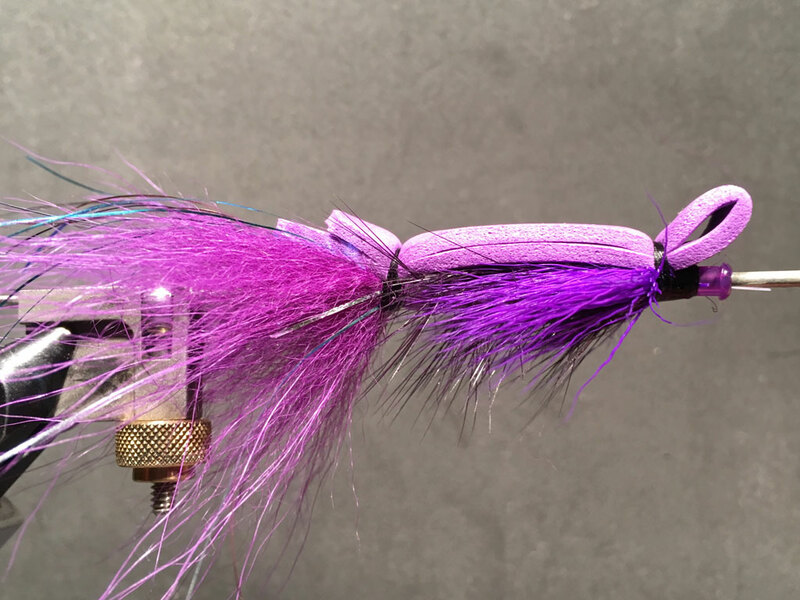 The fly is intended to be fished down and across stream (on the swing) as a waking fly. It can also be stripped like a popper to add additional surface disturbance in slower pools and runs. Step 1: Lightly melt ends of cut tube to create bead on edges. Slide junction tubbing over bead and secure to tube body. 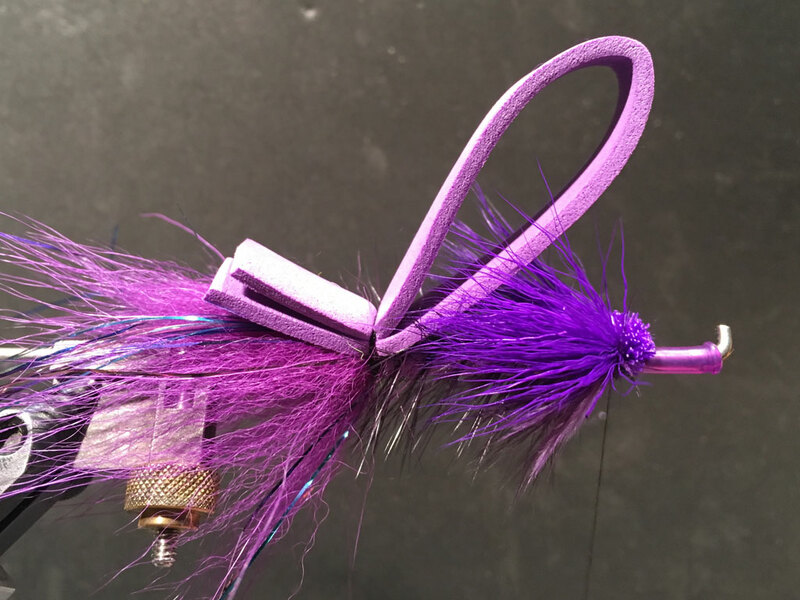 Dub Purple Ice dubbing on thread and create a ball (to help flare foxtail). 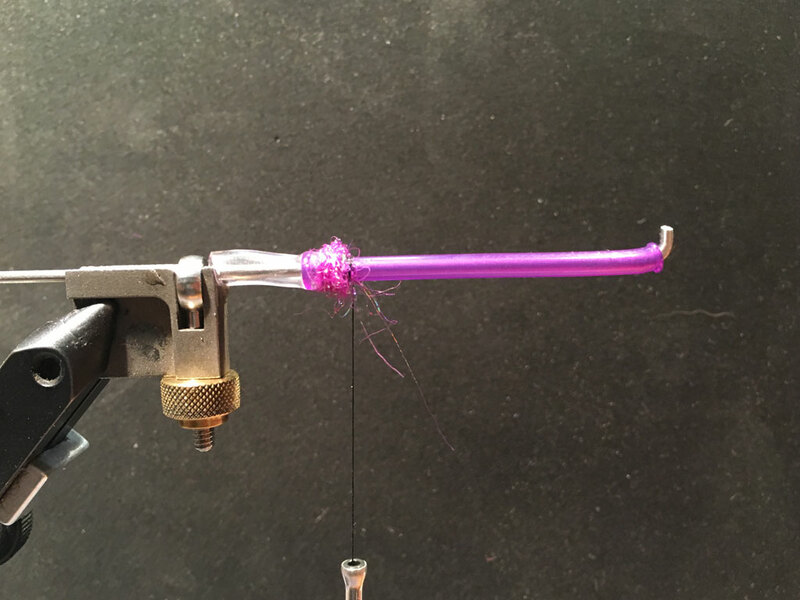 2) Use a dubbing loop or tie arctic fox 180-degrees around tubing then add flashabou. 3) Tie in 1/8 foam strip for body and saddle hackle (to be palmered as rib for body). Fold the 3/8 foam top in half and align to front of fly. Secure rear section of foam then work thread to head (formed 1/4″ behind front tube). 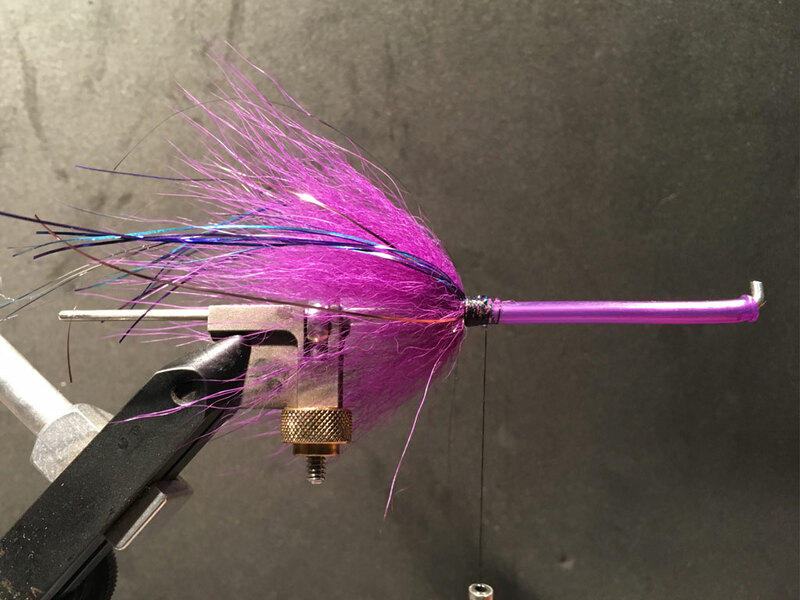 Palmer 1/8 foam to head and then rub with saddle hackle. 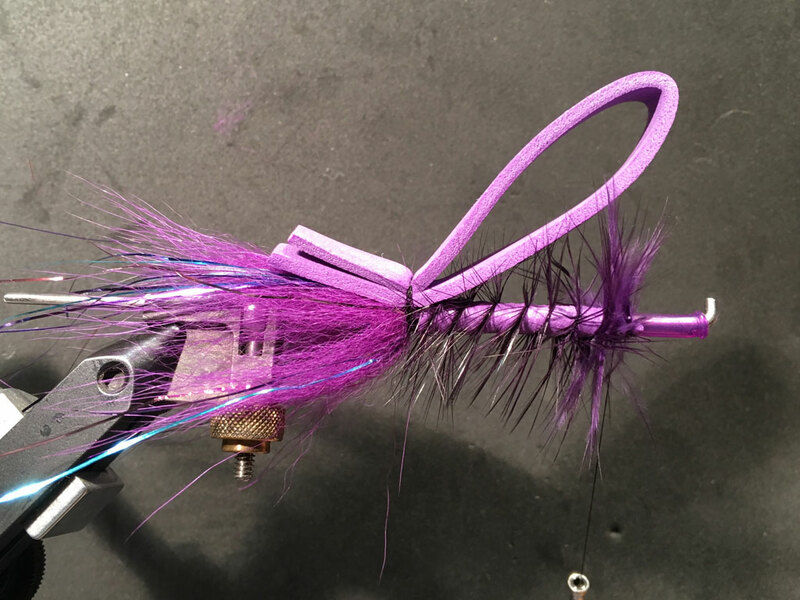 4) Cut and stack purple deer body hair for wing. Secure to top of fly. 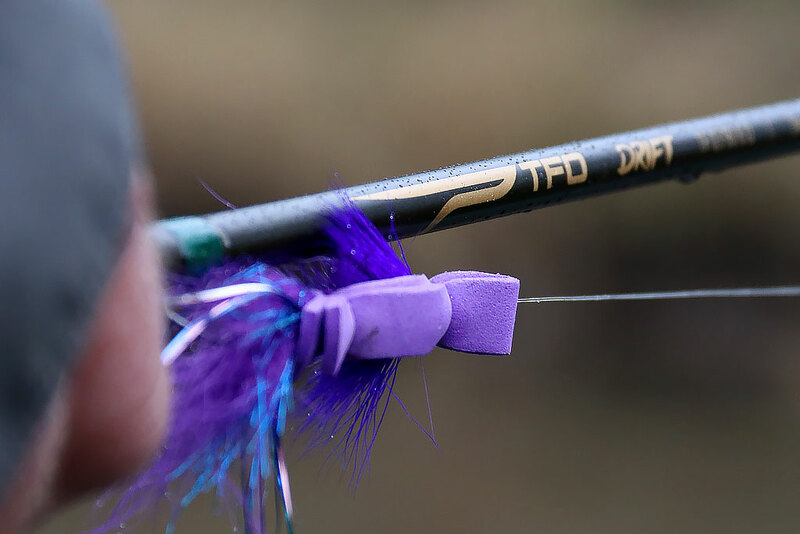 Flatten wing and split fibers evenly to sides. September 25, 2018 in All Articles.